Disclaimer: I received a free Zwift Pod to review as part of being a BibRave Pro. Learn more about becoming a BibRave Pro (ambassador), and check outBibRave.com to review find and write race reviews! I just may make friends with my dreadmill this winter! Anyone who knows me, or has been following my blog for a while knows that I have a strong dislike for the dreadmill. Anything more than 3-4 miles on that beast is 2-3 miles too far! I’ll gladly bundle up and run in the cold and wind, or run 72 laps on the track at the gym before doing 7 miles on the dreadmill. But that just might change this winter! 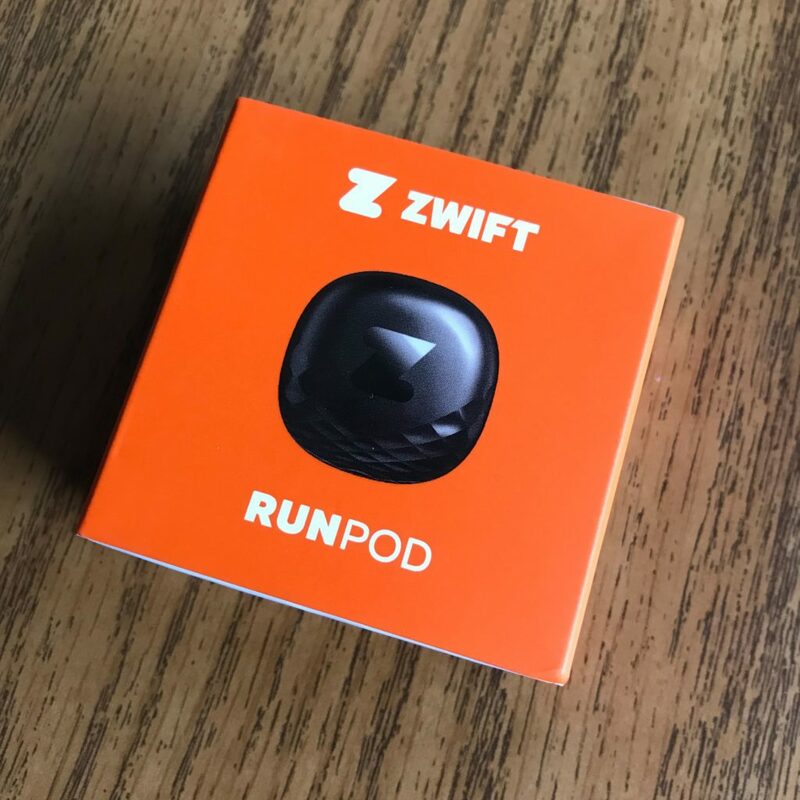 A few weeks ago, you may have seen my posts on Facebook about the new Zwift RunPod that I received. It can take treadmill running to a whole new level! Zwift has been around as a virtual indoor cycling platform, which several of my friends use and love. When I heard Zwift was expanding to include a Run option for their platform, I was intrigued! And then I found out I was going to have the opportunity to try it out! Why Zwift? For me, it bring the concept of the running “community” to the treadmill! The treadmill is that place that, even when I’m using one at the gym, I’m in my own little world, running all by myself, just trying to get through the miles. With ZwiftRun, you have the opportunity to run virtually with people from all over the world, pretty much any time you want! 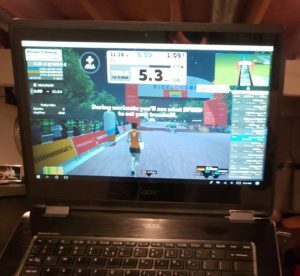 You can “see” yourself as well as other runners via the Zwift platform on your computer, phone or tablet. You can even cheer each other on as you go! Whether at home or at the gym, getting up and running is simple. All you need is a treadmill, footpod, and a device to run Zwift…. of if you are lucky enough, hop on your a supported Bluetooth treadmill for a seamless experience. The website will take you through the steps to get your Pod hooked up! My initial set up probably took about 15 minutes, but that included downloading the app to my phone as well as downloading the necessary software to my laptop. Set up on iPhone and Android is a little different and since I am an Android user, that’s what I can talk to you about. Since I am using android, I do need to also use the Zwift Companion app in order to link everything up. Once you get the initial set up done, you are ready to run! 1. Make sure your phone and the computer are on the same WiFi connection! This is how the phone and computer communicate. 2. It may take a few seconds once you start running for the computer to catch up with what the footpod is doing. be patient. 3. For me, I found that every once in a while, my phone, footpod and computer don’t always want to talk to each other (they must be moody teenagers!). To make sure this doesn’t happen, when getting started, I have found that I need to log into the platform on the computer first. Then once I get to the screen when I am pairing everything together, THEN I open the companion app and everything link up seamlessly! Want to join the fun, make sure to head to Zwift and check them out and then order your own footpod! Use BibRave15 to save 15% off the cost of the Zwift RunPod at Zwift.com. It is good for 1000 Pods only. Then we can hit up some of the virtual group runs together this winter! Also check up Zwift on Instagram, Twitter and Facebook! ⟵WIN won me over, now time for you to WIN!